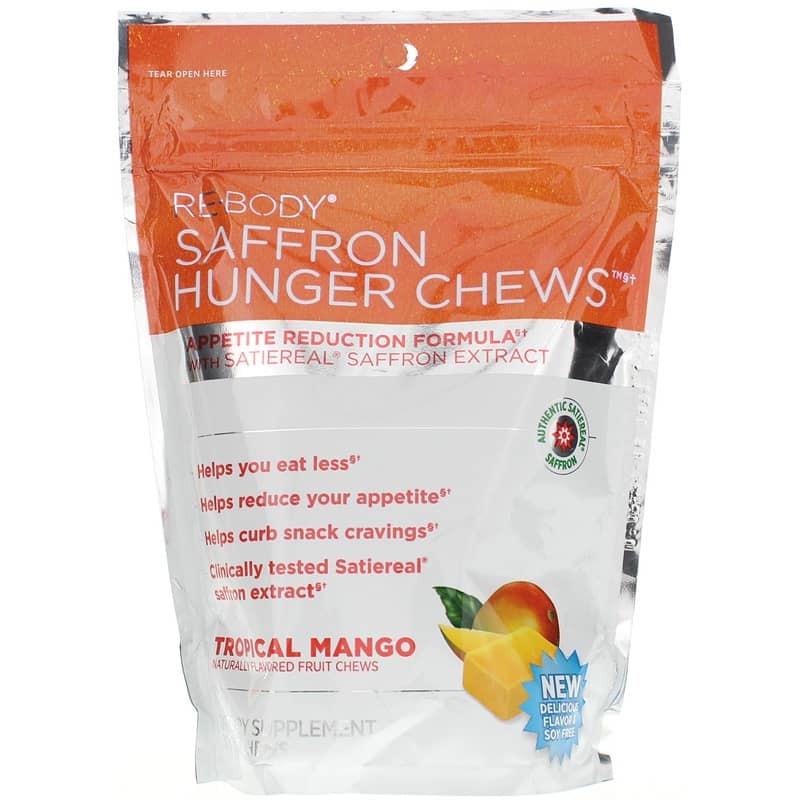 ReBody Saffron Hunger Chews are non-stimulant chews that support appetite control and reducing the intake of excess calories. The secret to the product is the ingredient Satiereal, a proprietary extract of Saffron. 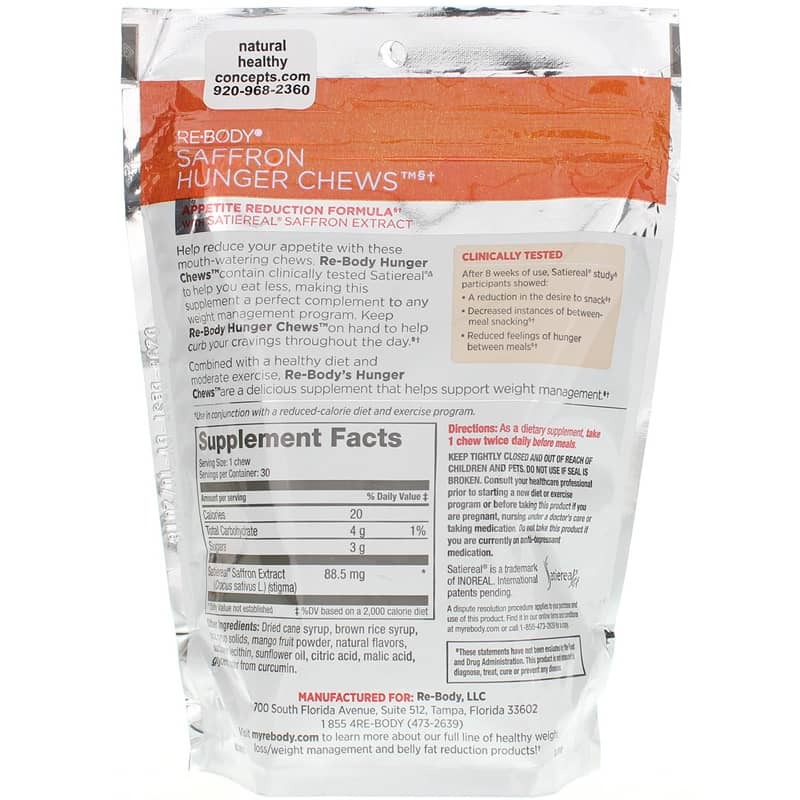 Adults: As a dietary supplement, take 1 chew twice daily between meals. If you are pregnant, nursing, taking medications or have a medical condition, please consult your healthcare practitioner before use. Do not take this product if you are currently on anti-depressant medication. Keep out of the reach of children.